Standard crochet involves yarn and large crochet needles with hooks on the ends. Projects can take weeks or months, and crocheters may have bags full of yarn next to rocking chairs as they merrily crochet away on a large blanket or a woolly sweater. Thread crochet is a more portable way to design wonderful artwork with thread, hook and stitching. Think of this as your basic guide to thread crochet as you transition from thick yarns to thin threads. Recognize that the ergonomics of thread crochet is very important because everything happens on a smaller scale. Make sure your work area is well-lit and the threads you use come in bright colors so you can easily see them. Purchase ergonomic crochet hooks that let you easily grasp them without slipping. Try bamboo hooks or wood-handled hooks that fit into your hands easier than something as thin as a pen or pencil. The next item of business is the numbers game. Think “smaller is bigger” when you consider the thread thickness and needle sizes. Size three thread is thicker than size 10. The same goes for needles — a size four needle is thicker than a size 20. 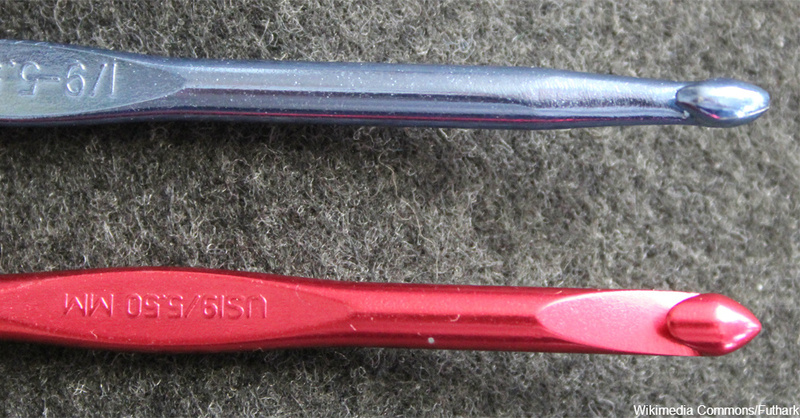 Use a thread holder to prevent twists in your thread so you get more stitches out of your tools and supplies. Thin threads tend to twist more than thick ones, and you must be mindful of this as you crochet along. Wind your thread on a cone to prevent twisting, or put your thread on a special holder that rotates around as you consume more thread. This helps strike the right balance between tension and slack as you get in a groove. The techniques of thread crochet are the same as crocheting with yarn, you just have to adjust your holds to accommodate smaller utensils. Practice consistently to refine your motor skills and improve your abilities. Remember, the supplies are smaller so you can take thread crochet on the road with you as you travel. Thread crochet projects make great gifts as Christmas ornaments, coasters, earrings, necklaces and more. Add in metallic thread to create a sheen or a glow within your projects for wedding gifts. Filet crochet — which only uses two crochet stitches — is ideal for beginners. Once you get used to the tinier scale of thread crochet, you open up a larger world of possibilities. Take care of your body while you practice with these tips to help prevent hand pain when working with yarns or threads.